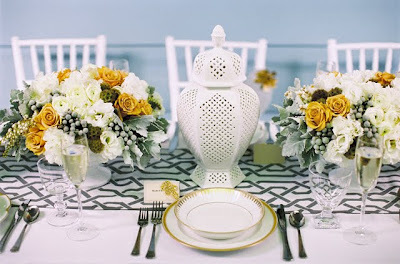 I always love seeing beautifully decorated tables when I'm perusing through different blogs. Today I decided to gather some of my favorites. 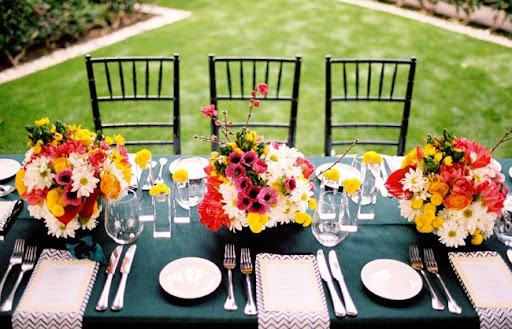 I love all of the bright colors, the flowers, the arrangement of everything. Which is your favorite? I thought i liked the first and third best but now i like them all... so pretty. I love this. The colors are so bright and beautiful! They are all gorgeous - the second one is so different than any of the others I usually see! they're all so pretty, but I think the first is my favorite! Beautiful place settings & tables! I love them. SO hard to pick!!! But if I have to, maybe the 2nd one :) It's so gorgeous!!! beautiful pictures! i love all the colour combinations. I love table inspiration! They complete yummy food, I think! Oh how I love a beautiful table! It makes the dining experience so much more special. Thanks for stopping by my blog...I'm your newest follower!